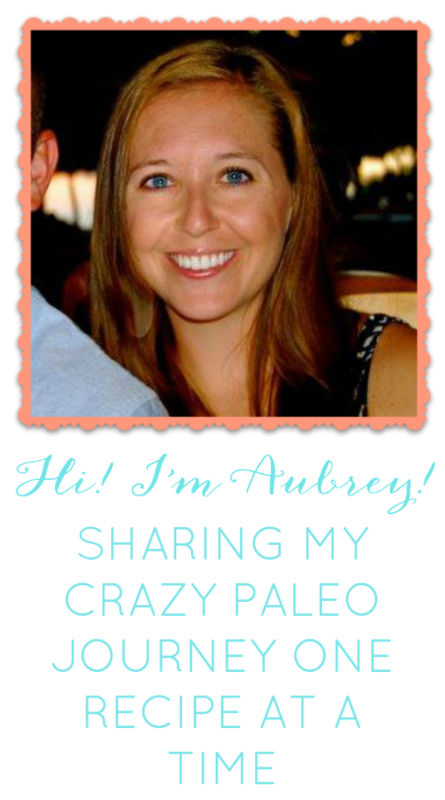 Yesterday was also a good day full of Paleo :) I am still in the process of cleaning my house and trying to get my life together so I haven't had a lot of time to make snacks for the week. I made the easiest tilapia EVER and it actually tasted really good. 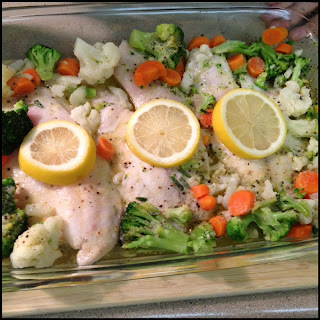 All you do is lay the tilapia down in a baking dish with a little bit of olive oil (or use butter if you want instead). Make a quick lemon/garlic/butter sauce (I just threw some butter in the microwave then added half the lemon and spics to my liking). 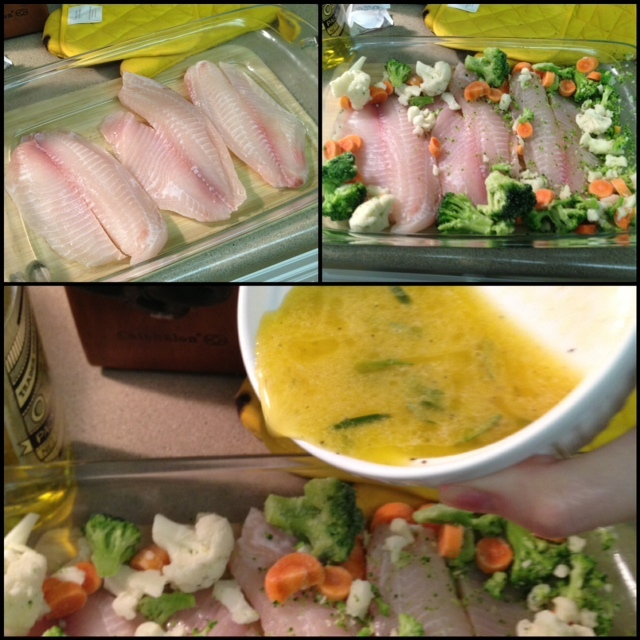 Surround the fish with the frozen veggies and pour the sauce all over everything. Cook covered at 375 for 25 min then uncover and finish it up for the last 5 min. BOOM. Dinner done. yum yummy i got tilapia in my tummmmyyy.